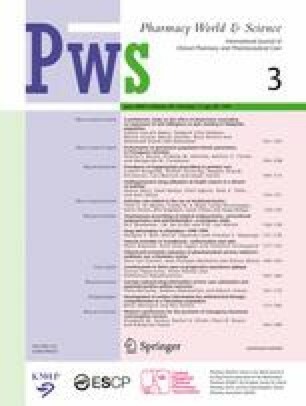 To evaluate the performance of eight different sets of gentamicin populational pharmacokinetic parameters, regarding potential implementation in clinical pharmacokinetic software as prior information. The study involved 49 patients of 31.3±4.1 weeks of gestational age (GA), receiving gentamicin, and for whom peak and trough concentrations were obtained. Accuracy and precision were assessed by mean prediction error (ME), mean squared prediction error (MSE) and root mean squared prediction error (RMSE). Weighted prediction-error analysis was carried out in order to evaluate peak and trough concentrations together (MEw, MSEw and RMSEw). The analysis showed CL=0.036 l/h/kg (<34 weeks GA) or CL=0.051 l/h/kg (≥34 weeks GA), and V d =0.5 l/kg (≤37 weeks GA) or V d =0.4 l/kg (>37 weeks of GA) as the most accurate and precise set of pharmacokinetic parameters (Set 4), presenting the highest percentage of clinically acceptable estimates (ErrorPeak<1 μg/ml, and ErrorTrough <0.375 μg/ml). The adoption of the previously mentioned set of parameters as population estimates seems to be the best option, bearing in mind the obtained results. However, we strongly believe that pharmacokinetic parameter determination of gentamicin should be carried out whenever possible in order to improve the rationale and cost-effectiveness of therapy.